What would you do to obtain what you believe will change your life for the better? 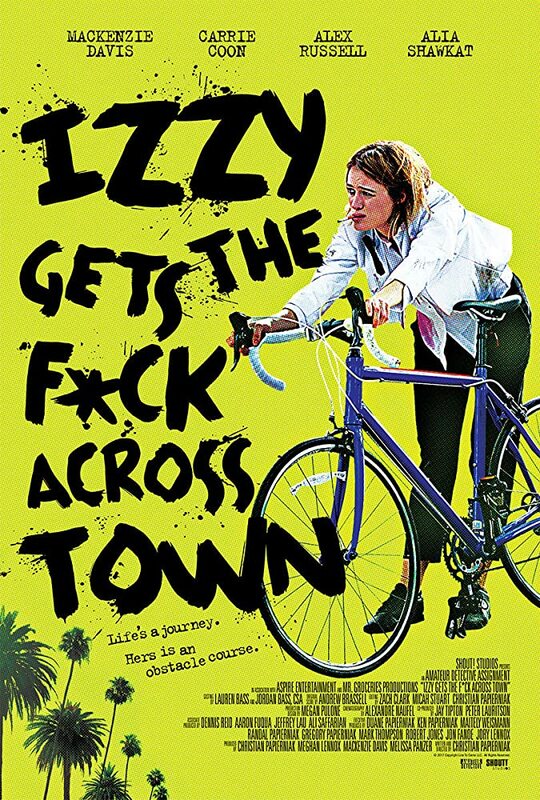 That is the question… at least I think it is, somewhat, behind first time feature writer/director Christian Papierniak’s film Izzy Gets The F*ck Across Town. I say somewhat because of Izzy, played by Mackenzie Davis (Halt and Catch Fire, Blade Runner 2049), who is not the most stable person and could be considered the visual definition of a hot mess. Izzy moved out west a few years ago to pursue her musical career. A few years later she has nothing to show of it other than bouncing job to job and sleeping on her friend’s couch. The film follows Izzy as she tries to stop her ex-boyfriend from marrying her ex best friend during their engagement party. The film jumps from scene to scene with colorful chapter breaks as Izzy makes her way to the party. Each scene offers its own turmoil that Izzy has to hurdle through to reach her objective. The film is sprinkled with notable stars: Haley Joel Osment (The 6th Sense), Lakeith Stanfield (Atlanta, Sorry to Bother You), Annie Potts (Ghostbusters, Pretty in Pink), Alia Shawkat (Arrested Development) but each are so minimal in their time much like to Izzy they’re just a passing blur. As for Davis her performance as Izzy is superb as she deals with one random task after the next all in the pursuit of what “she believes” to be love. This film felt like two different stories: the first is Izzy’s comical trip to reach her ex and the second being everything after. In the end Izzy gets everything she wanted… or so she thought. I wish there was more to the second part of the story as it seems Papierniak’s vision could have been more complete. Instead we get scattered scenes of Izzy slowly “realizing” this is not what she wants or in fact ever needed. The character of Izzy comes off as selfish and someone who could care less of the choices she made. In a sense we can all root for a rebel who can give society the finger but for Izzy it feels like a child who has little care for others and will just wreak havoc for her own self indulgent needs.